Pearls on sale, is there a more tempting phrase to me? Several vendors I have bought from have some special offers in place. At Kojima Company, you'll save 18% starting December 1 till December 18 with coupon code PEARLPRESENCE2014. 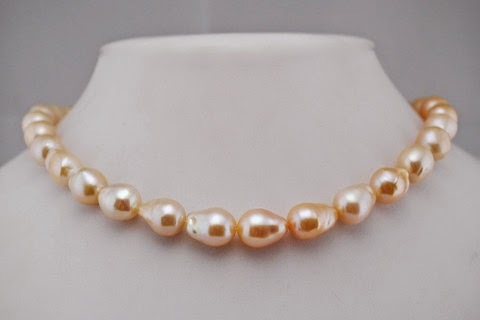 Petite pearls for a petite budget, and still perfectly pearly; this four-strand lot of small (3-4mm) silver keshis would make an ideal layering piece, strung as a long rope. 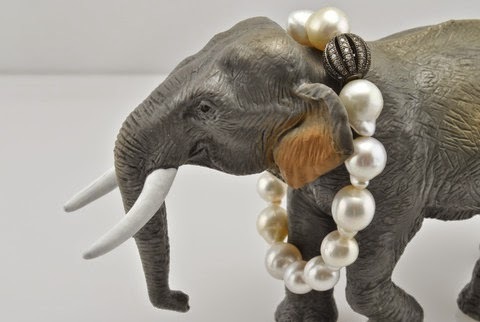 (Note: This size of keshi is not strung with knots between the pearls.) Sale price, about $60. 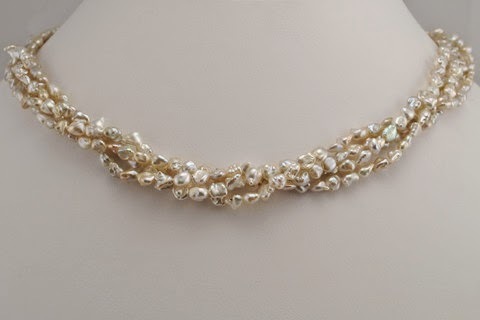 Petite necks, even luckier: only 15.5 inches in length but if you can wear it, a special piece, the delicate 'twig' necklace made of tiny stick pearls; sale price, $155. I also admire how this silver and crystal bauble completes a South Sea stretch bracelet and funks it up a bit. Sale price, about $251. Pearl Paradise's sale runs from 9 p.m. PST today (Thursday, November 27th) to I'm not sure when, and since this is going up before the sale starts, just go to the site and look. 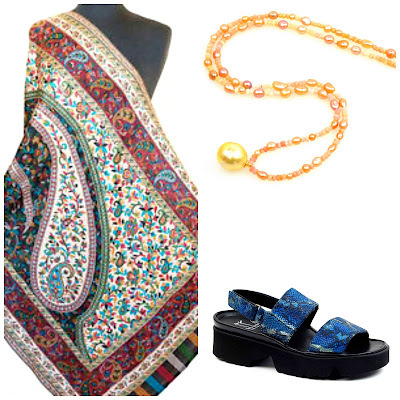 PP, renowned for classics, now offer some exotics and free-spirited designs. 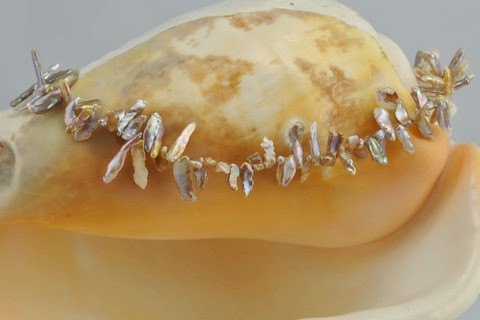 They have hinted that they'll put some of their "Tahitian harvest" strands on sale; as owner Jeremy Shepard says, these pearls "represent what one would expect to find in a real pearl harvest"— a mix, rather than a match, of intriguing shapes and colours. Beautiful pearls! The quality shines out of the photos. 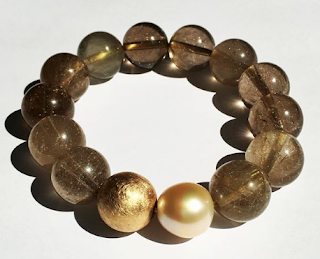 I too like the apricot ones and also that bracelet with the silver clasp and of course the black pearls! Just the thought of these sales is making my heart beat a bit faster....may HAVE to make an investment, could be something too good to pass up. meg: Thank you very much! 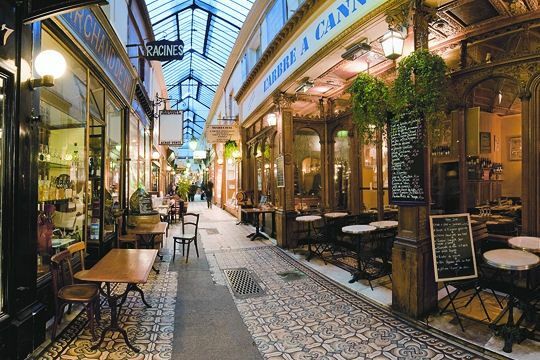 I have immersed in that site, admiring the beautiful pearl pieces. You're very welcome! Sorry for the brief message, I was on the iPhone! I have been really enjoying reading back over your posts, and found your jewellery advice really helpful. I've secured the Jan Logan gold mesh cuff for Christmas! Glad you enjoyed the browse. meg: Oooh, what a stunning gift!